I was going through the shelve in Dallas Library and came across this delicious Mutton recipes which really made me drool at the step by step snaps.I don't really like to have mutton but now I have got myself addicted and always find some ways to prepare them. Add 5 tbsp of oil in wok add the all the masala ingredients and roast to grind into a smooth paste. Grease a pressure cooker with 2tbsp oil and splutter mustard and curry leaves followed by cumin,dried chilies, cinnamon stick,cloves and cardamon pods til fragrant.Add the chopped onions and saute til they browned.Then add the cubed mutton and all the spice powder-saute well.Finally pour in the grind masala paste and mix well.Pressure cook to about 5 whistle.allow the pressure to released and transfer to a serving platter garnished with finely chopped coriander leaves. Nice curry with great pics!! Sara,,,really u r right,,this recipe drooling me...even me too dont mutton before now m cooking atleast once in a week.This recipe looks delicious and name too.thanks for sharing dear,,take care n keep on smiling. Yummy looking mutton do piaza..Ive blogged abt mushroom do piaza.. It been a long time since I had Mutton, this one make me drooling. Dear Sara,,,please collect ur gift from my blog. Mutton looks spicy, colourful and fantastic. 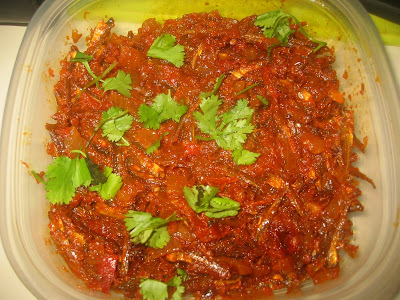 drooling here... looks very spicy and delicious.. a perfect combo with rice or roti..